Chances are, you have plenty of other important things to do throughout your day besides post to social media. Schedule all your posts when you do have free time and they will post while you are busy growing your business in other ways. Have a national or global customer base? Schedule posts in different time zones so all your customers can see your posts. The Smart Calendar gives you an organized view of both future and past posts. Easily manage your entire posting schedule. Sometimes you want to post the same thing every day, week or month. Simply click on the repeat posting check box and choose if you want it to post every day, week or month and for how long. This is perfect for weekly specials, sales, etc. Social media is a powerful listening tool. Custom feeds allow you to find content and new leads based on keywords, location and sentiment. Keep an eye on competitors, engage with people in your area and much more! Ever wonder how the top social media users create beautiful, custom images that are perfectly sized for the specific social network? Chances are they use Canva or a photo editing tool like it. We were using it so much that we decided to integrate it into our tool. By clicking the Canva button in your publisher, you can make fully customizable images that are sized for whatever social network you are posting to. Images help drive engagement and are the most shared type of content on social media. View your new followers, mentions and direct messages in a Unified Social Inbox. The Inbox also supports Facebook, LinkedIn and Google+ notifications and messages. A red notification counters gives you an easy way to see how many uncompleted Inbox items you have and motivates you to complete all of them. Once you have completed an item, simply mark it as completed and it will disappear. The Unified Social Inbox makes it impossible to miss anything important. This feature was introduced by Twitter in April and solved a major pain point for users. Due to Twitter’s 140 character limit, being able to add you own thoughts to a tweet you were sharing was nearly impossible. Now you have 116 characters to add a comment. We recommend adding a comment to most tweets you retweet, so you can give additional context to your audience. 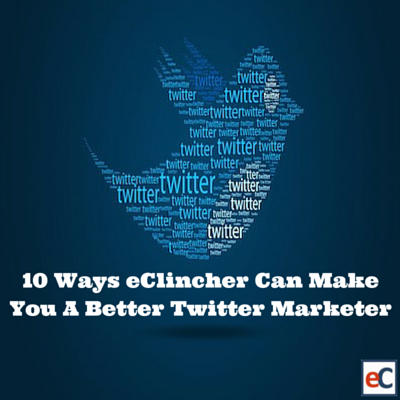 If you are not using Twitter lists, you are missing out on a powerful feature. By creating lists you can group together interesting accounts and view a feed with tweets from only this group. There is on average 10,000 tweets sent per second, so filtering out some of the noise will allow you to see what you want to see and engage more. Lists can be both private and public. When you add someone to a public list they will be notified. Keep this in mind before you add someone to a list you might not want them to know they are being added to (example: a list for new leads). Tags are a way to mark specific Inbox items and easily find them later. To find tagged tweets, simply filter your Inbox by a specific tag. Some of the things we use tags for are tweets that require follow-up, positive feedback/testimonials about our tool, new leads and new feature suggestions. How often are you mentioned daily on Twitter? What was your best performing tweet last week? How many followers did you gain/lose in the past month? Our Twitter Analytics can answer these questions and many more. By understanding them you can make adjustments and capitalize on what is working for you and your audience. Want to re-share one of your successful, past tweets? Simply click the repost button and schedule it again! Sometimes it is easier to show it than it is to say it. Attaching images to Twitter replies makes this possible. It also allows you to include additional information that wouldn’t fit the 140 character limit. Simply click on “add photo” and attach up to 4 photos! Who is the most influential person you are connected with on Twitter? How about your Top 50? Influencer Analytics show you who the most influential people are in your group of follower so you can engage with them. eClincher is a social media management platform that helps businesses manage and organize their social media presence in a straightforward and easy-to-use application. eClincher’s features include publishing and scheduling content to multiple social accounts, monitoring, engagement, a unified social inbox, and complete social and website analytics. For more information visit www.eclincher.com.